This ebook will help you market your real estate online in Nigeria, it's an Ebook written with real estate business in mind. No matter the type of property you want to sale on internet this ebook get you up and running and getting real estate buyers. It's Free and I can't guarantee it will always be available and free. We can't guarantee how long this ebook will last here. Download it while it's still available now. Get your hand on the ebook and start marketing online and begin profiting in your real estate business in Nigeria by reaching real estate buyers effectively. This is one of ways we add value here in Cokoye.com. 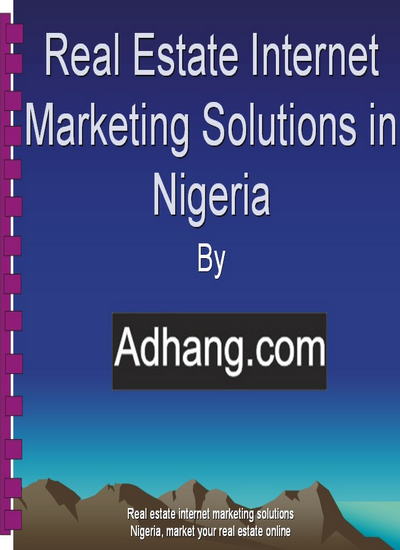 Yes, if your real estate business isn't based in Nigeria you can adapt the ebook to your country as we're talking about Internet marketing here, which isn't peculiar to Nigeria or particular country.